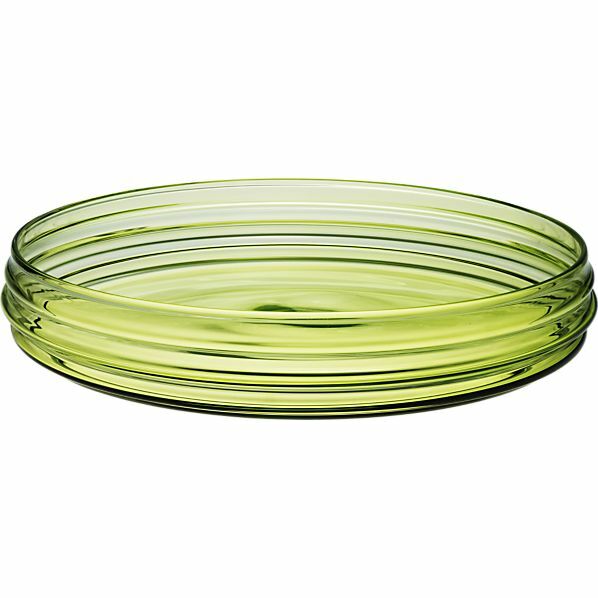 Marimekko's new product line for the year includes the Socks Rolled Down series of glassware and serving pieces. 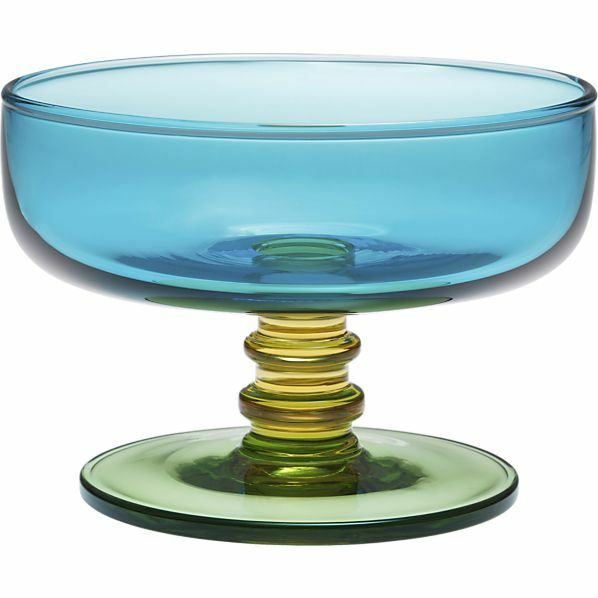 The tumblers, pitchers, dishes, and bowls designed by Anu Penttinen feature a rippled silhouette and bold retro colors. If these tabletop items leave you weak in the knees, visit our Ready-Made contest page for details on how you could win twelve settings' worth of tableware from the Finnish brand. 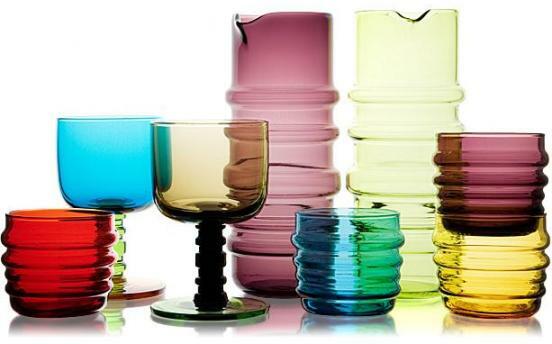 Marimekko's product line for the year includes the Socks Rolled Down series of glassware and serving pieces. 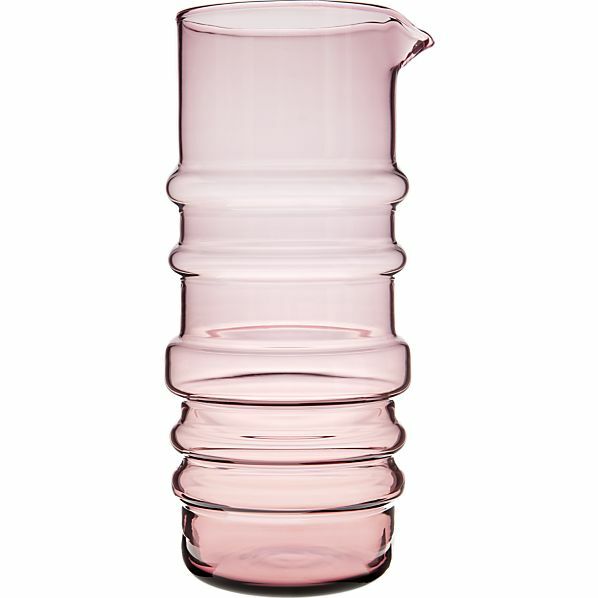 The tumblers, pitchers, dishes, and bowls designed by Anu Penttinen feature a rippled silhouette and bold retro colors. 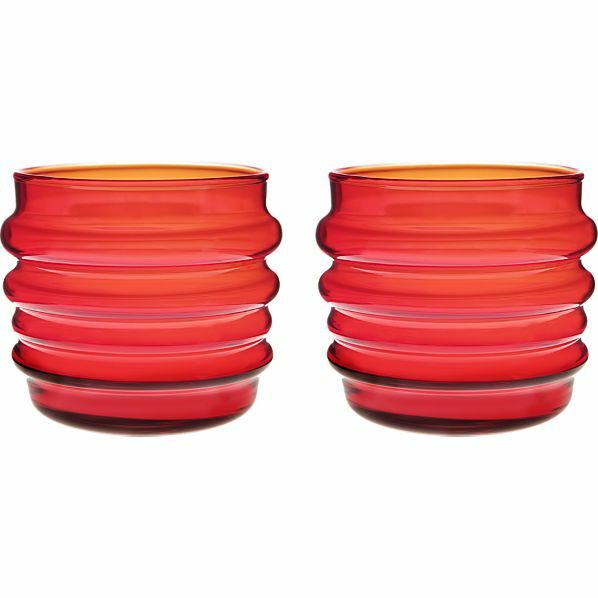 Red tumblers, $39 per pair.